Adonis Creed is looking for revenge in the latest Creed 2 featurette. 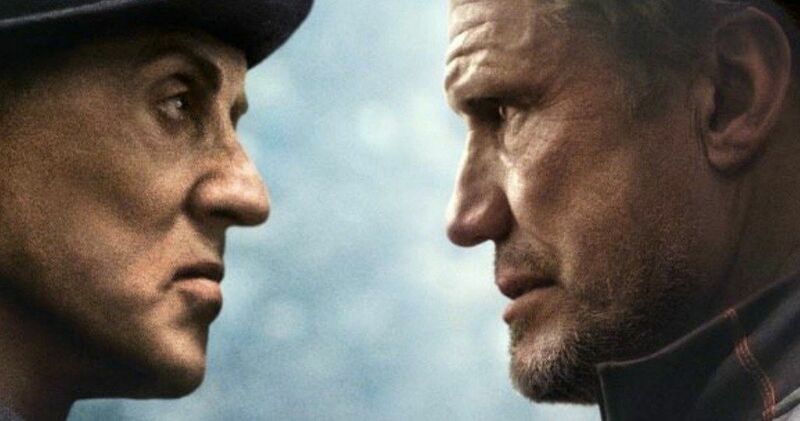 MGM and Warner Bros. released the sneak peek this week, which is entitled The Sins of Our Fathers, and it puts the focus on the revenge aspect of the sequel. However, Adonis isn’t the only one out for revenge in the film. Ivan Drago also has a major score to settle with Rocky Balboa after losing everything following his battle with the boxer back in 1985. Dolph Lundgren recently revealed that his character is a changed man after going through decades of tough times. In Rocky IV, Ivan Drago killed Apollo Creed and was later beaten in the ring by Rocky Balboa. The latest Creed 2 featurette brings that battle front and center to cement just how high the stakes are in the sequel. Adonis could very well suffer the same fate as his father in the ring up against Drago’s son Viktor, which only adds to the tension. Drago is using his son’s abilities to get back out into the world after years of nothing, which he blames Rocky for. Adonis is going to have to make some important decisions in Creed 2, with the biggest one being about the possibility of leaving his own son to grow up like he did, without a father. The sequel will tackle that subject, but for now, it’s obviously unclear how everything will pan out for Ivan, Viktor, Adonis, and Rocky. Even if they succeed, will they get back what they lost all of those years ago? If so, at what cost? These are just a few of the decisions that Adonis will have to face as he steps up for the battle of his life. The box office predictions for Creed 2 are in, and they are positive. At this time, it looks like the sequel will open up in the $50 million range, which is nearly $10 million more than the first installment. The addition of Ivan Drago and his son Viktor has helped to add to the hype of the film, which was already high to begin with from the strength of the first movie. Rocky fans are waiting to see how this revenge story will pan out, no matter the outcome. Sylvester Stallone and Michael B. Jordan are back as Rocky and Adonis for Creed 2, which /creed-2-poster/hits theaters on November 21st. Joining them in the sequel is the return of Tessa Thompson as Bianca, Phylicia Rashad as Mary Anne, Wood Harris as Tony “Little Duke” Burton, and Andre Ward as Danny “Stuntman” Wheeler. Dolph Lundgren is back as Ivan Drago while his son Viktor is played by Florian “The Big Nasty” Munteanu. Creed 2 is looking like it should beat its predecessor’s theatrical run, and might even end up as a better film when all is said and done. You can watch The Sins of Our Fathers featurette below, provided by the Warner Bros. U.K. YouTube channel.